Starting Saturday, March 30th, walking down 2nd St between Bowery & 2nd Ave will land you in Cappadocia, Turkey -- or, technically, floating above it. 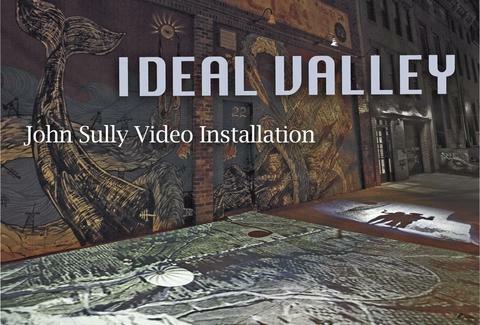 That's because Thu-Sat nights, Ideal Glass artist John Sully will be projecting video from a balloon ride over the legendary region onto the sidewalk so that passersby can stand right on top of it, woozily gazing down at the otherworldly terrain that inspired movies from Planet of the Apes to Star Wars, and...hey, is that a van? Yeah, so the balloon also passes over a van, which is even weirder than the otherworldly terrain.